Nivin Pauly starrer Sakhavu directed by Sidhartha Siva released yesterday, April 15th worldwide as Vishu Special. The initial reviews were majorly positive, though few section of the audiences had a different view. Sakhavu had a limited release in Chennai as it was released on a Saturday and along with 3 big Tamil films. 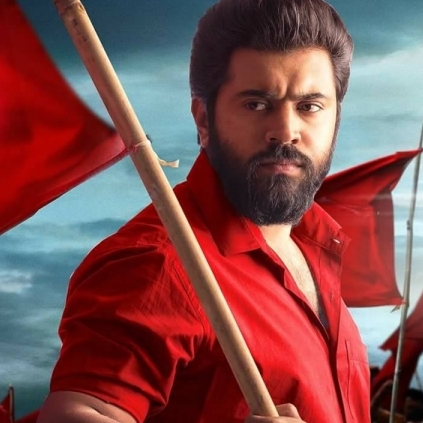 The day 1 gross collections of Sakhavu at the Kerala BO is reportedly close to 2.2 Crores and this is one of Nivin's best opening in recent times. Superstar Mammootty's Puthan Panam is the other Malayalam film which released for Vishu, 2 days earlier on April 13th. After 8 Thottakkal, is it with Sarathkumar? Rajinikanth’s 2.0 gets another biggie to clash with? Censor Board bans this film for sexual content and violence! Gautham Menon is relaxed! Guess why? Why is 17th April very special? People looking for online information on Kerala BO, Mammootty, Nivin Pauly, Puthan Panam, Sakhavu will find this news story useful.